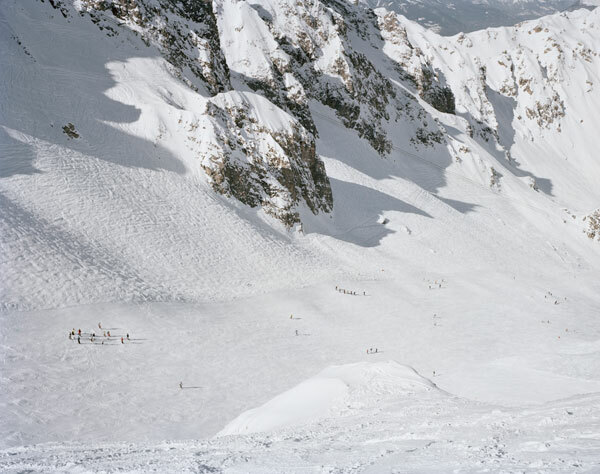 "In this series, I explore the tension between man's attempt to shape the Alpine environment and our vulnerability confronted with and inability to control its natural forces." "In contrast with 19th century romantics who were awed by the mysterious power of nature and poignantly aware of man's relative insignificance, the expanding leisure class of the past century has attempted to tame these forces and create a recreational safety zone." "Ski resorts with easy accessibility, urban density and architecture, snowmaking, piste grooming and avalanche blasting, create an illusion of security. 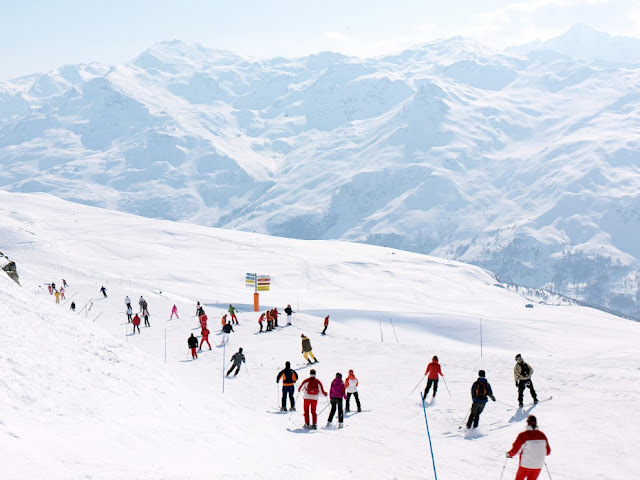 The predictability bordering on absurdity of human behavior is apparent in skiers' desire to herd together, move as a pack and remain within a comfort zone, avoiding 'forbidden' areas." "As a microcosm of human behaviour, this highlights man's urge to socialize, colonize and dominate versus the romantic quest for solitary and contemplative experiences." She also has another set of photos out which are slightly different, but presumably taken during the same vacation. 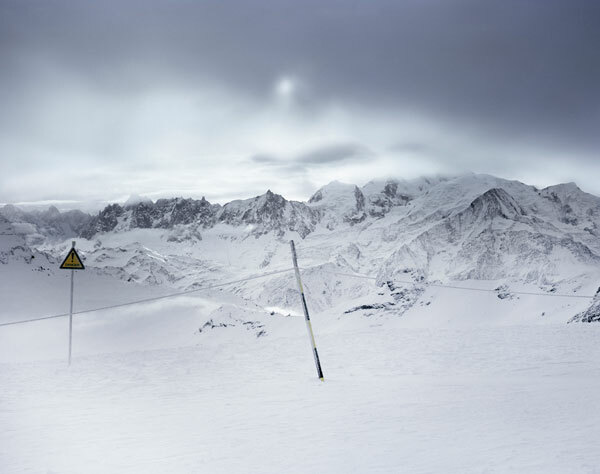 "Man's relationship with the alpine environment remains the principal theme of this ongoing body of work, but unlike crowded slopes, where I explore man's need to control and dominate, the new wilderness attests to our insignificance and vulnerability against the power of the natural world. In this way, I am more directly inspired by the romantic tradition - evoking feelings of mystery, silence and solitude - or what remains of the experience of solitude." "These emotions are implicit in vast empty space, diminutive human presence and the mystical qualities of the landscape. 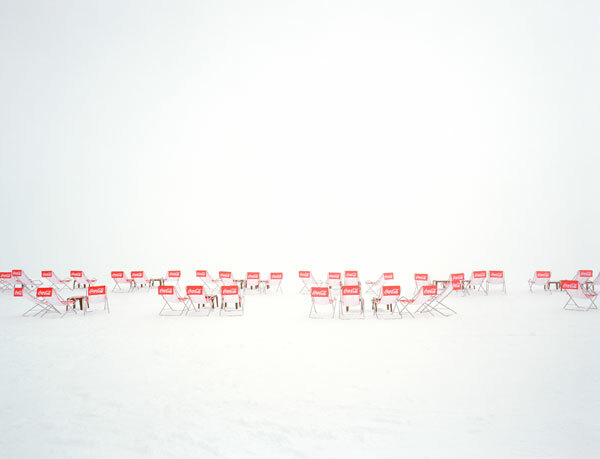 However, unlike the work of the German romantics and American 19th century artists and writers, these images document contemporary concern for the environment and the traces we leave behind." Do you think Dede is right? 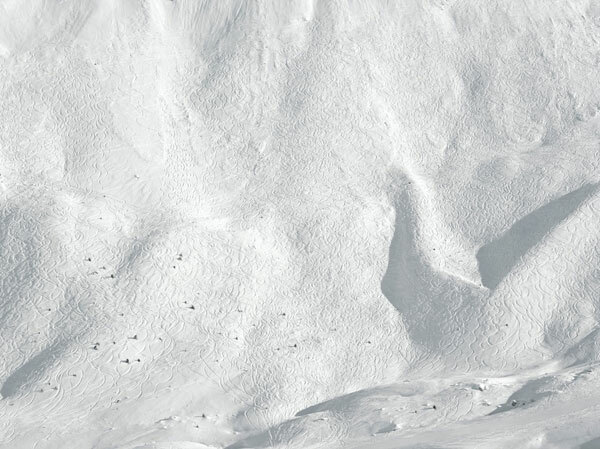 I don't have a clue because I stopped listening early on and just tried to spot the snowboarders. 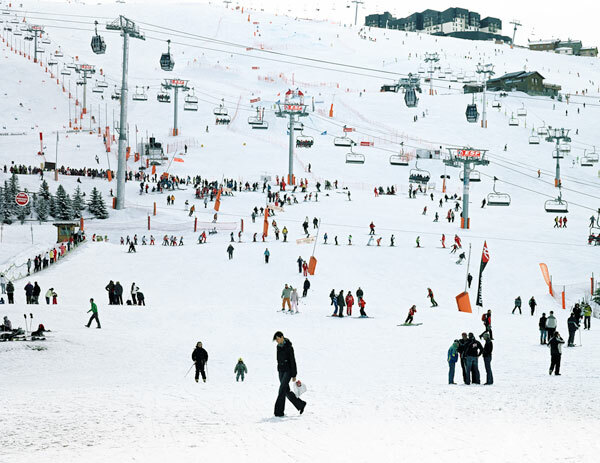 "My main concern, as a photographer, is recording the trace we leave on earth… This takes many forms" including "The sites we elect, and modify for holidays and leisure." He's not so talkative, but others are keen to take up the baton for him. Here's Pure Wow's take. 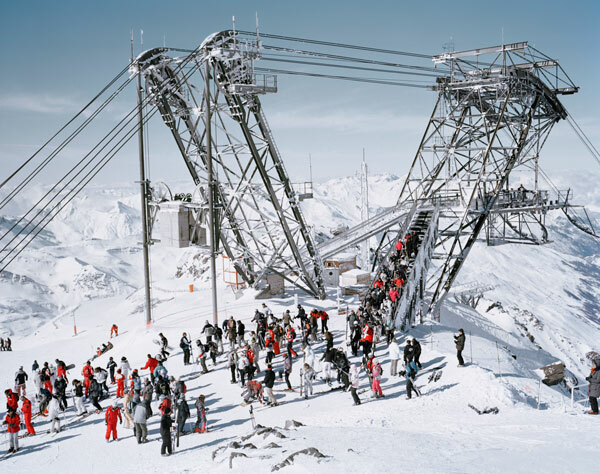 "Taken from distant views, Patrick Smith's humans are viewed critically and from above. The rows of skiers in this photo are dwarfed by the massive mountain." 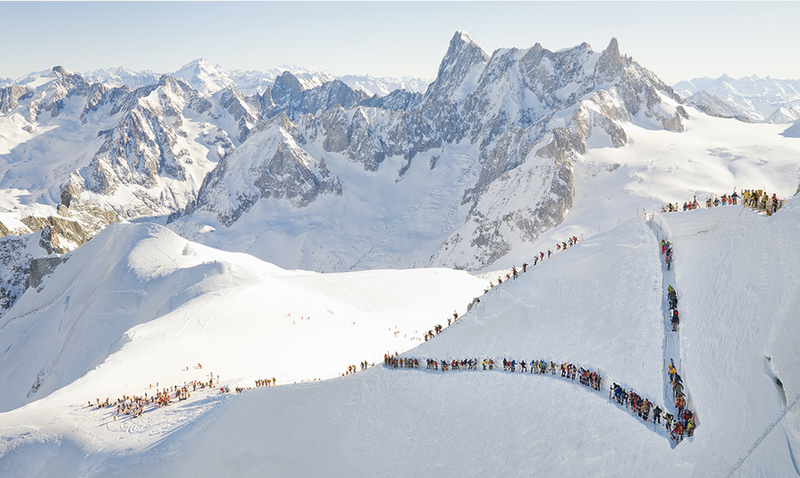 I'd certainly be looking critically at all these skiers if I was at the end of that queue on a powder day. Here's a couple more of his pics. Although these next humans are viewed critically from below, giving a significant twist to the premise I think you'll agree. I don't know about you but they mostly looked like pretty standard tourist brochure photos to me. I'm not sure if this photographic art lark is going to take off anyway, it's never going to beat a dirty YouTube edit with some funny crashes. I did like Coca Cola one though - it was well pretty. P.S. 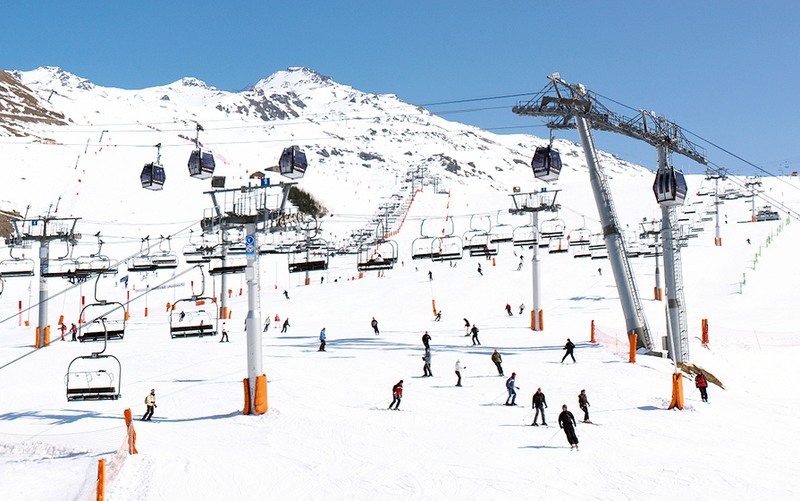 I spotted only seventeen snowboarders. 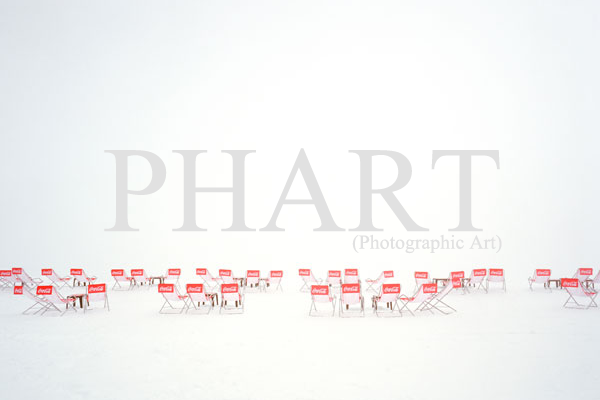 I'm a person who's trying to break into the "Phart" world with a few snow based pictures (amongst other stuff). I've quickly come to the conclusion that in order to get anywhere it's 10% being able to take a decent photograph and 90% about your ability to spout pretentious rubbish in order to justify your photographs. As you can tell from the rest of this site, we're all about writing pretentious rubbish. If you need any tips give us a shout.